ABSOLUTELY CHARMING, LIGHT AND FULLY FURNISHED 3 ROOM APARTMENT WITH SPACIOUS BALCONY/TERRACE. PERFECTLY LOCATED IN THE MOST WANTED PART OF THE STATENKWARTIER AREA. CLOSE TO INTERNATIONAL ORGANISATIONS AND SCHOOL, THE FREDERIK HENDRIKLAAN (SHOPPING STREET), HARBOUR, BEACH, DUNES, AND SEA. Main entrance, stairway to the 1st floor. Entrance apartment, hall, spacious living/dining room ABSOLUTELY CHARMING, LIGHT AND FULLY FURNISHED 3 ROOM APARTMENT WITH SPACIOUS BALCONY/TERRACE. PERFECTLY LOCATED IN THE MOST WANTED PART OF THE STATENKWARTIER AREA. CLOSE TO INTERNATIONAL ORGANISATIONS AND SCHOOL, THE FREDERIK HENDRIKLAAN (SHOPPING STREET), HARBOUR, BEACH, DUNES, AND SEA. Main entrance, stairway to the 1st floor. 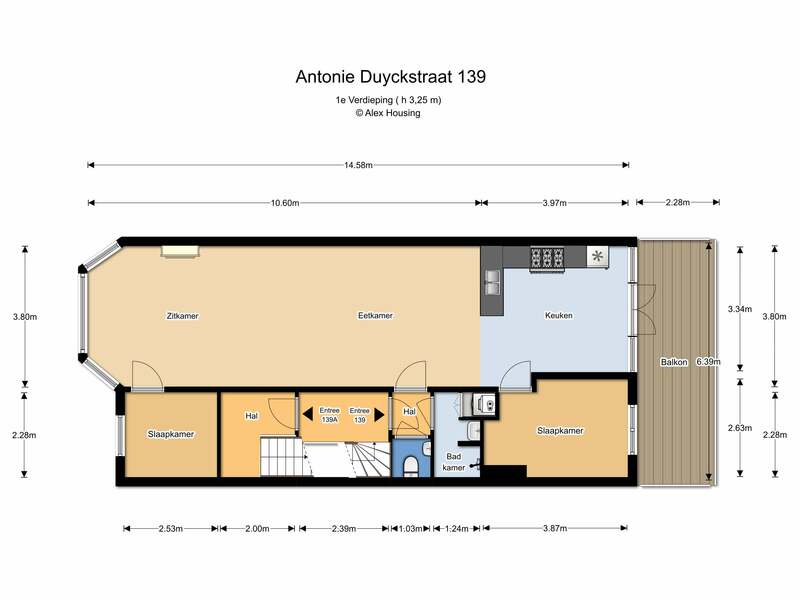 Entrance apartment, hall, spacious living/dining room 1060 x380, For the Dutch standard spacious kitchen 370x280, of course equipped with all needed built in appliances, kitchen also gives access to large balcony/terrace . Bright, master bedroom. Bathroom shower, washbasin and stylish tiles. 2nd bedroom 2.53 x 2.28. Separate modern toilet.